ANTI-TAX campaigners protesting at new septic tank charges for rural dwellers have written to the President Michael D. Higgins saying new laws which will bring in the taxes are unconstitutional. In their letter to Áras an Uachtaráin campaigners from Cloch Cheann Fhaola asked the President to urgently review the laws which were passed last week. 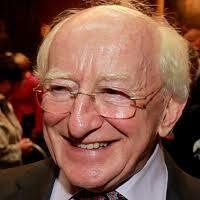 campaigners allege that the recent septic tank bill President Higgins signed into law is unconstitutional. considerable stress, duress and uncertainty. Minister to impose retrospective standards on domestic wastewater treatment systems. “This could lead to individual sewerage units and septic tanks requiring remediation work that could cost amounts up to €17,000. dwellers have their wastewater treatment paid for by the Exchequer. “This new law penalises unfairly the over 400,000 rural dwellers, potentially to the point of turning them out of their homes, and imposing a significant cost burden. potentially extremely heavy cost burden from individual rural citizens. Campaign spokeswoman Mary Attenborough said they believed they had made a significant legal argument and hoped the President would now review the legislation.